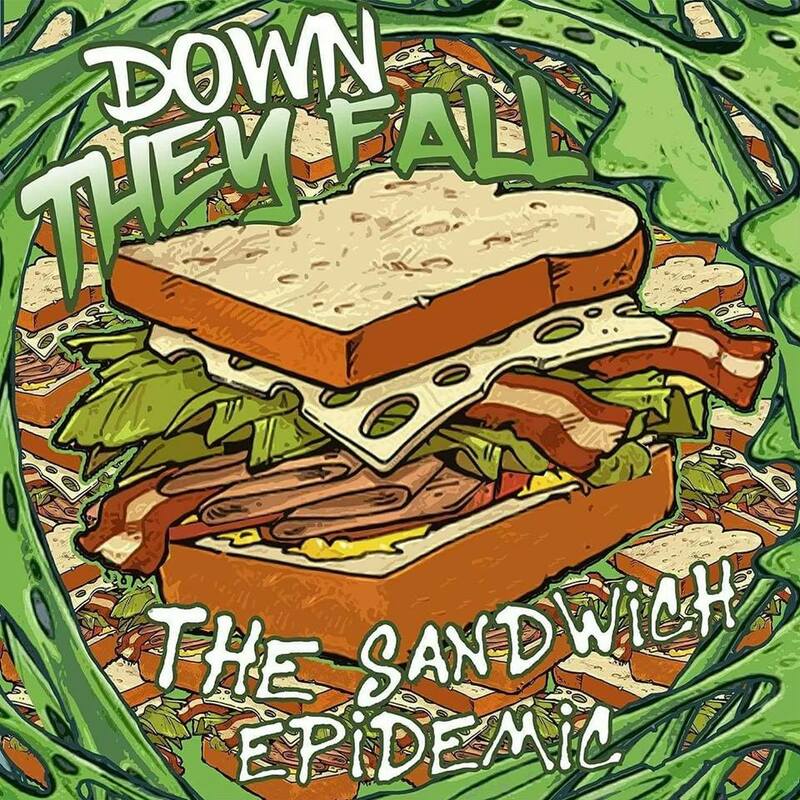 Track By Track: Down They Fall – ‘The Sandwich Epidemic’ EP – Ouch That Hertz! Today, we proudly present the exclusive track-by-track commentary of St. Clairsville, OH pop-folk outfit Down They Fall’s The Sandwich Epidemic EP, penned by frontman Gage Vota! As always, each track is embedded below for the betterment of your audio/visual pleasure. Enjoy! I wrote “Jazz Lettuce” in a Sheetz parking lot and then we figured out the instrumentation while in the studio. The song is about dealing with the distance from being on tour. This was supposed to be the last song that I wrote for the EP because I had a whole OTHER EP written, but because of the direction of this song, I decided to scrap [the other EP] except for two songs. This song is about how everyone is constantly changing and how people that you thought would have your back for life [can] become acquaintences. I wrote this song at the arcade that I worked in back when I started touring heavily. It’s about touring a lot and sleeping in gas stations more than I sleep in my own bed at home. It’s also about how I’m not the biggest fan of my town. When it comes down to it, St. Clairsville, OH, made me who I am. Even though I tour everywhere, I still like when I get to come home and see everyone. I wrote this song when I wasn’t in a good place. This song is about a lot of things. I wrote it when I found out that my ex got married because I thought it was crazy how different our lives are now, being that they’re, like, a real adult and I basically live in vans. It’s also about dealing with depression while being on the road and not having really any stability, but still trying to be optimistic while also not taking anything from anyone and doing what you want.